If there are members that may require caps for the Lighthouse Weekend in mid-August, we would appreciate their orders and deposits at the AGM (which takes place on Saturday 28 July). The caps cost R30.00 each. 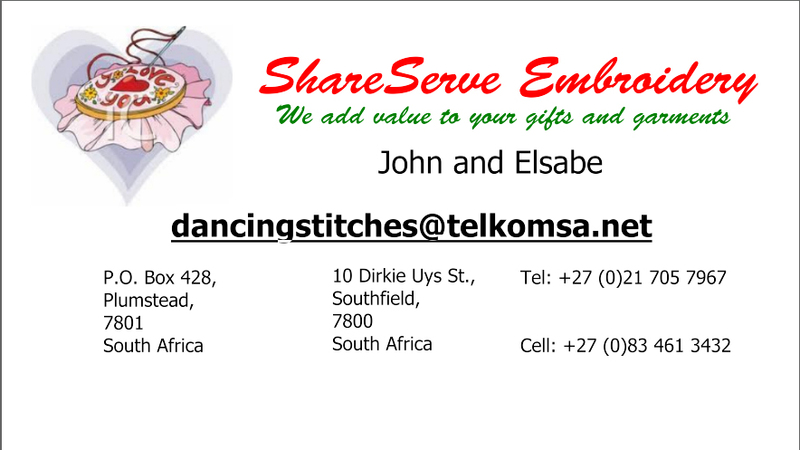 The embroidery costs R50.00 each. We require the cost of the cap as deposit. 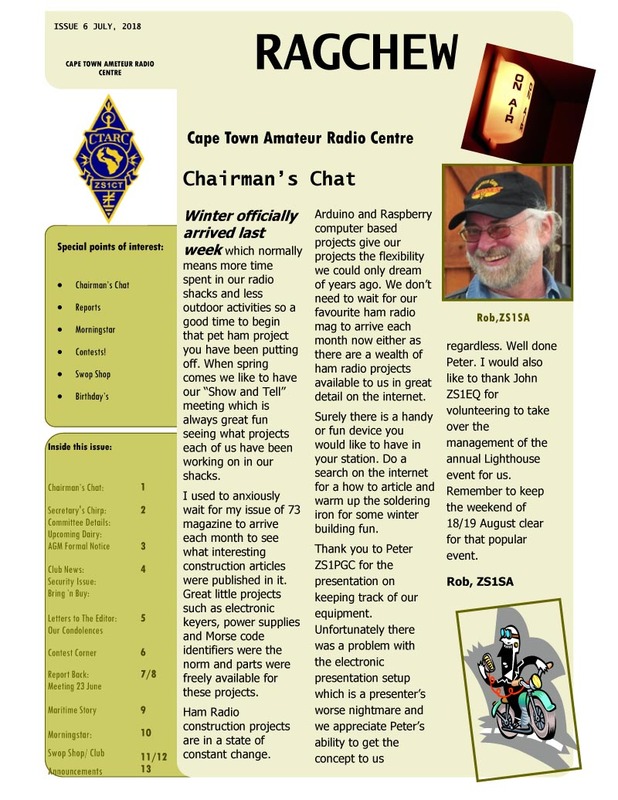 Notification is hereby given that the Cape Town Amateur Radio Centre's Annual General Meeting has been called. Date: Saturday, 28th July 2018. 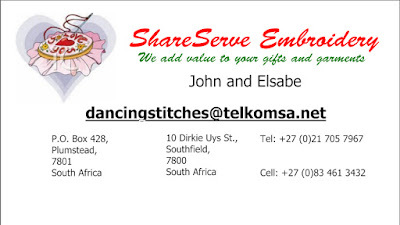 Venue: CTARC Clubhouse, Round Table (Belvedere) Community Centre, off Laidlaw Road, Claremont. Social: Join us for afternoon refreshments after the meeting. CTARC Committee members are reminded of the forthcoming meeting at 19h00 on Monday 23 July 2018 at the clubhouse. Please make an effort to attend as there are important matters to discuss regarding the July Meeting, the CTARC AGM, which is scheduled to take place on Saturday, 28 July 2018. 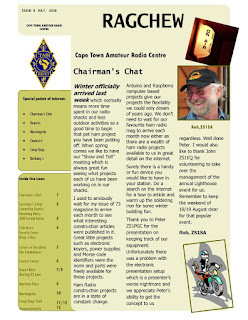 The July 2018 edition of the Cape Town Amateur Radio Centre's bi-monthly newsletter "Ragchew" is now published.